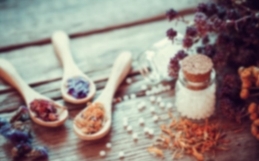 With the cooler months here, it’s time to look after your immune system. 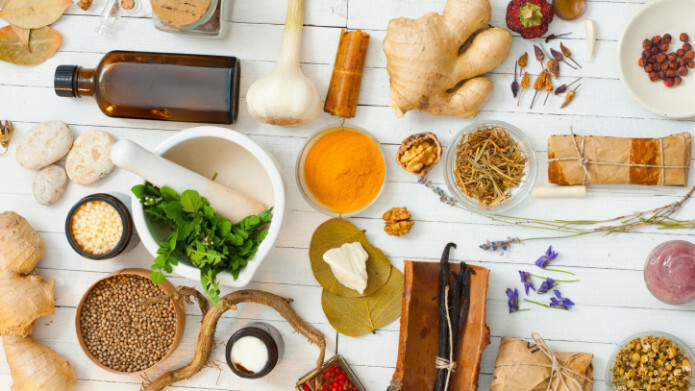 Naturopathic medicine can offer nutritional advice, supplements and herbal medicines to support the immune system and prevent infections, as well as assist you when you are feeling under the weather. Follow my top 10 tips to support your immune system and enjoy the winter months without the dreaded cold and flu. Eat plenty of vegetables, spices and herbs with every meal. They are jam-packed with essential vitamins and minerals, as well as phytochemicals and antioxidants, which support and strengthen the immune system. Include the following immune boosters on a regular basis – garlic, onions, ginger, and chilli; cruciferous veggies such as broccoli, cauliflower, cabbage, Brussel sprouts; and Vitamin A containing foods such as carrot, pumpkin, sweet potato, and green leafy vegetables. Ensure you’re getting between seven and eight hours of sleep. The body repairs itself while you are sleeping, and if you’re not getting enough, one of the first signs a dysfunctional immune response. Healthy sleep allows our immune systems to remember pathogens and fight them off at a later time. Get a little bit of sunshine every day for a vitamin D boost. Low vitamin D levels are associated with immune dysfunction, depression and even cancer. Vitamin D assists the function of the immune system by reducing inflammation and helps your immune system fight infections more effectively. Consume foods high in Vitamin C daily, such as citrus, kiwi fruit, capsicum, strawberries, pawpaw and pineapple. Vitamin C decreases the length of time and severity of symptoms associated with colds and flu and supports our white cell immune function. Medicinal mushrooms such as shiitake and reishi give your immune system a super charge. The polysaccharides support immune function by enhancing our white-cell activity, protecting us against invading microorganisms. Zinc is an important mineral for immune function, healing and fighting infection. It is essential for T cell and natural killer cell function as well as proper lymphocyte activity, and is involved producing antibodies to help you fight infection. Good sources of zinc include spinach, beef, blueberries, capsicum, egg yolks, ginger, lamb, oysters, asparagus, mushrooms, sesame seeds, pumpkin seeds, lentils, cashews and quinoa. Incorporate exercise into every day – even incidental exercise adds up. Take the stairs, walk to the bus, or go for a walk in your lunch break (incorporating a little Vitamin D). Exercise contributes to the circulation of antibodies and increases the production of macrophages, which attack the bacteria that can trigger upper respiratory diseases. It also reduces stress hormones, which can create havoc with the immune system. Simple actions, such as regular hand-washing will protect you from colds and flu. It doesn’t need to be antibacterial. Normal soap and water are perfectly fine. Hand washing is the single most effective way to prevent the spread of infections, and can reduce infection rates by up to 40 per cent. Cook up a big pot of chicken soup to fight off a cold. The minerals from the chicken bones combined with onion, garlic, chilli and ginger plus added vegetables and herbs give your body the nutrients it needs to fight off any invaders. Reduce stress – Excessive stress affects every system in our body. It challenges the nervous system, dampens the immune system, affects digestion, dysregulates blood sugar levels, and the list goes on. On a physical level, the continued cortisol production lowers your immune system response, which is why you might end up with a cold when you are stressed out. Ongoing stress also depletes essential vitamins and minerals from the body including amino acids, Vitamin C, B vitamins and magnesium, which contributes to anxiety and nervous tension, insomnia, lowered immune function and fatigue. If you have been experiencing recurrent infections, or would like individualised support to optimise your immune system, book an appointment so we can help you get your health back on track.